DID YOU KNOW? Most of our website is now MOBILE-FRIENDLY! There is no app to download, no separate address to enter. 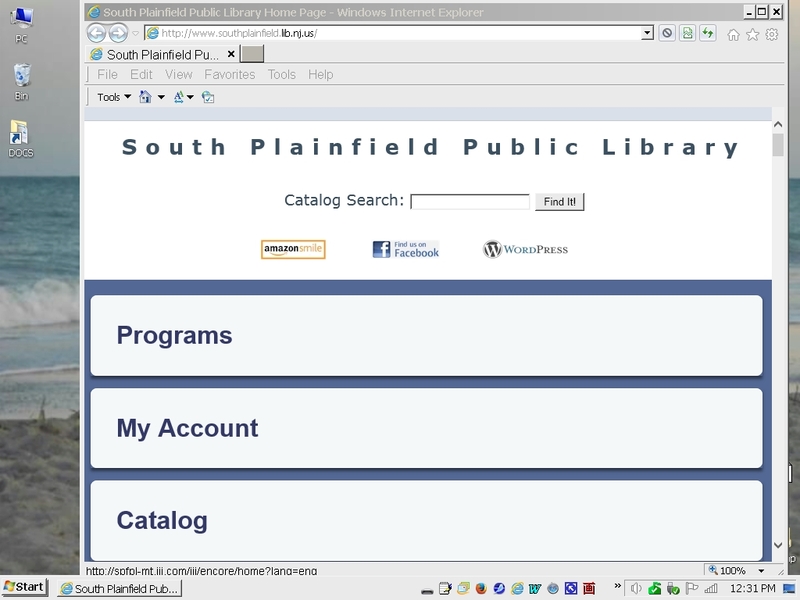 Simply access our website http://www.southplainfield.lib.nj.us on your tablets, smartphones or other mobile devices and (on MOST, though not all devices) you should automatically see the mobile version of the page! 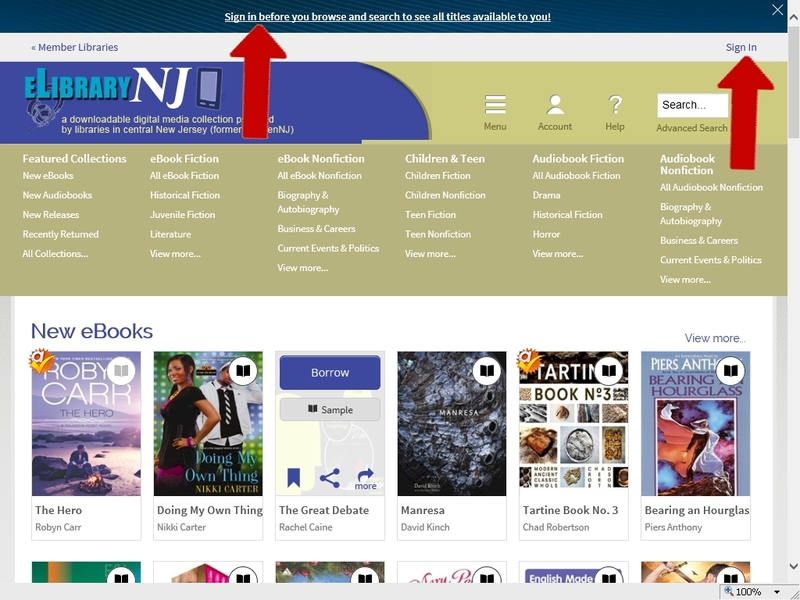 Please note that some external pages that our website links to, including our Library Catalog, are NOT currently optimized for mobile access. 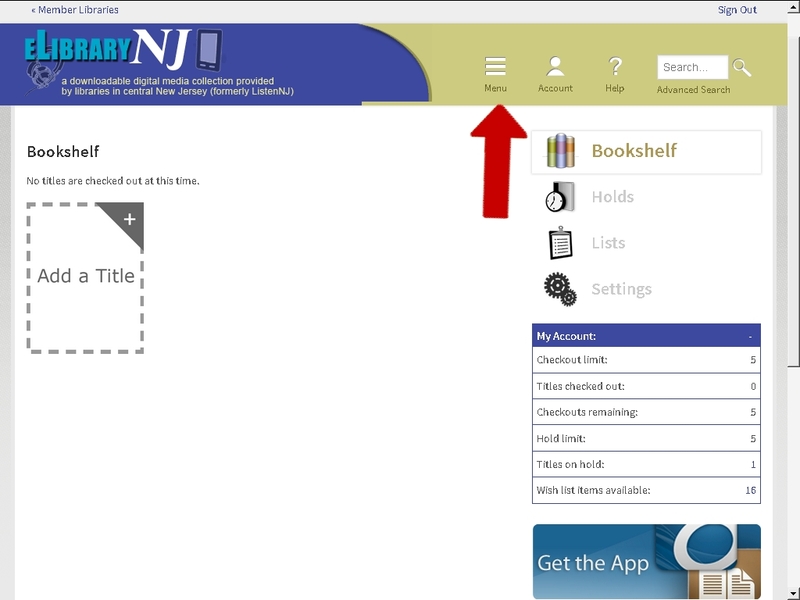 However, some external sites, such as elibraryNJ and EbscoHOST databases, will automatically recognize that you are a mobile device user and display the correct version. 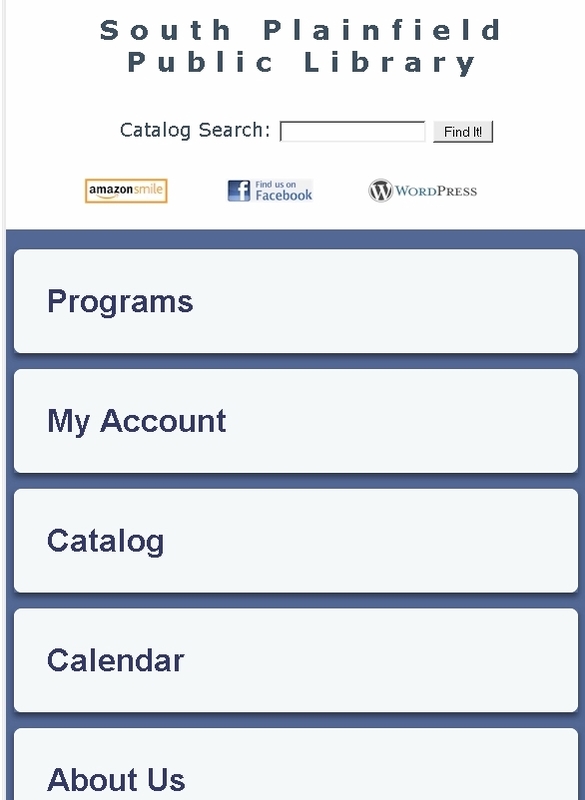 Others, such as Freegal Music and Zinio may require you to download and install an app on your device for mobile access. Do you have a visual impairment? Viewing the mobile version of our site on your computer or laptop will provide a larger, easier-to-read typeface! Your computer will automatically display the mobile version if your screen resolution is set at 800 x 600 (or below). 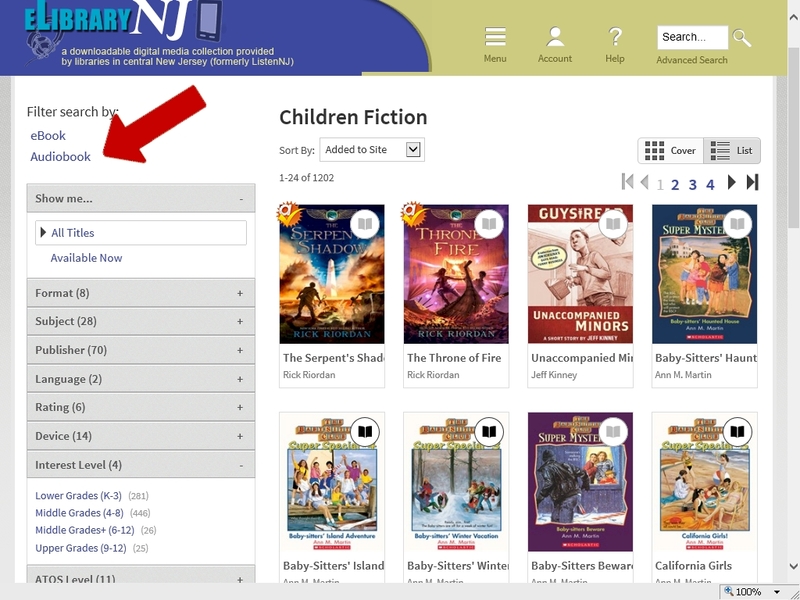 Even with a screen resolution of 1024 x 768 or higher, you can also get the mobile version by simply narrowing your browser window until the mobile page appears. 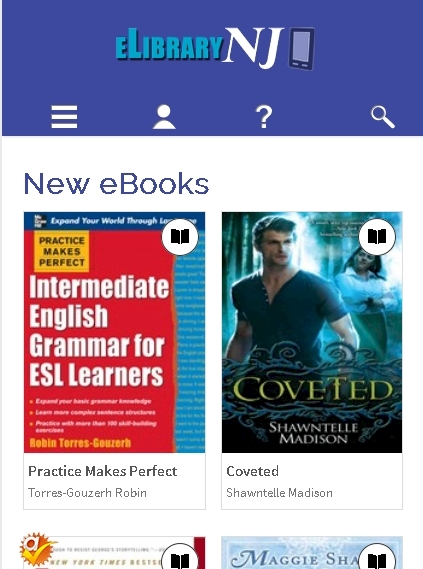 Free ebook and audiobook downloads from eLibraryNJ (Overdrive) aren’t just for grown-ups! 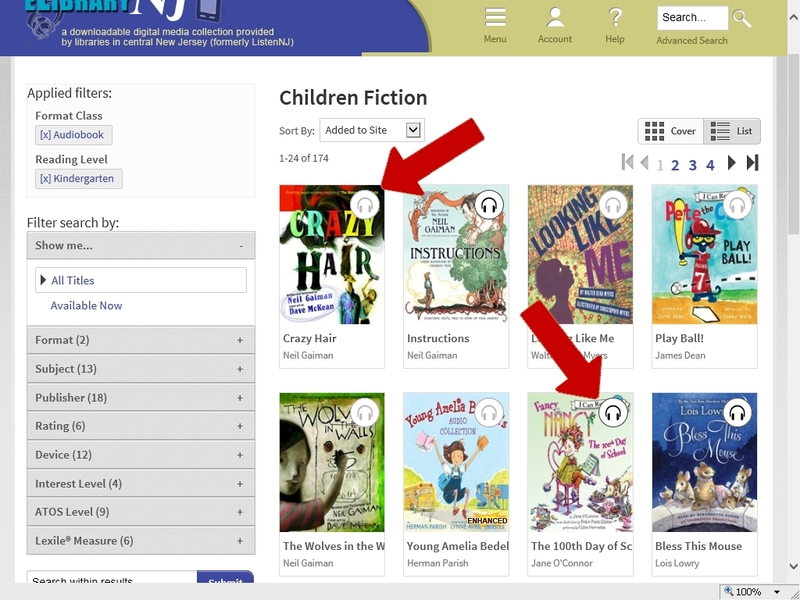 eLibraryNJ also offers a nice selection of audiobooks and ebooks for kids of all ages. 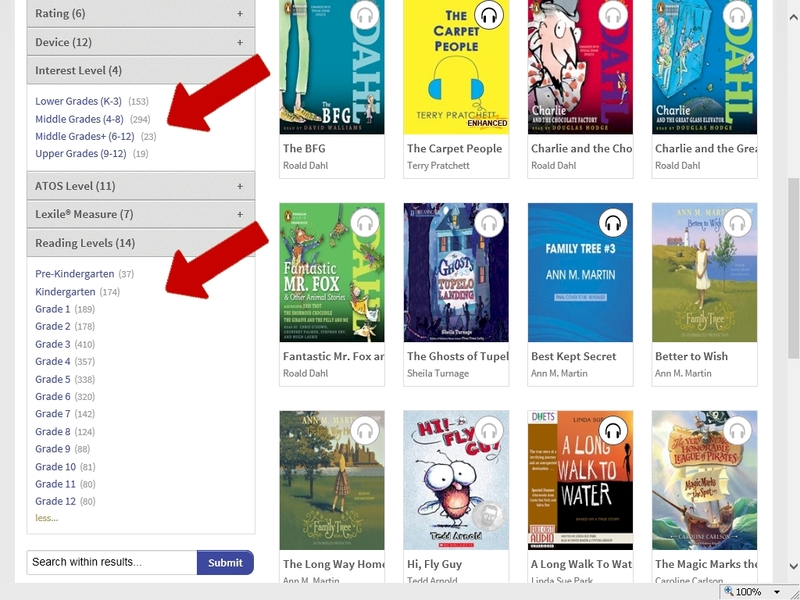 You can use the search box to find a specific title or author. 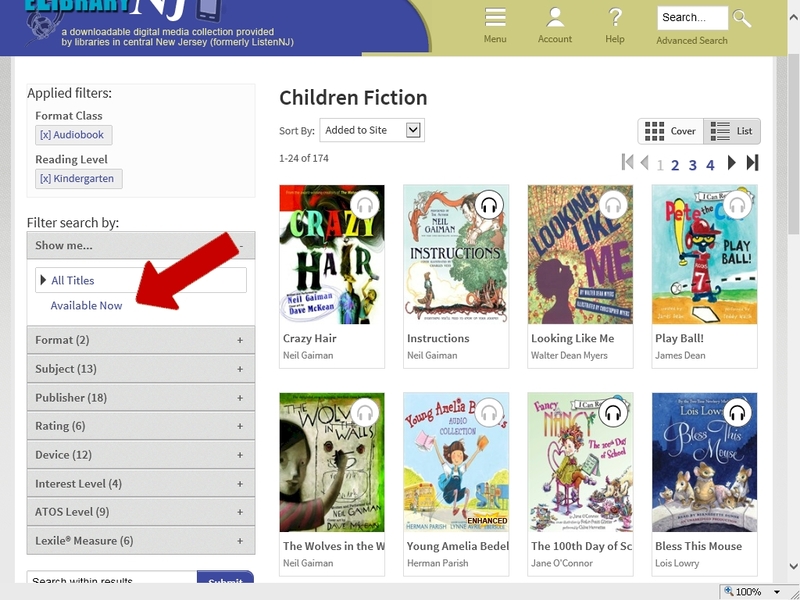 But what if you want to browse everything that’s available for a specific age group? Here’s how to do it! 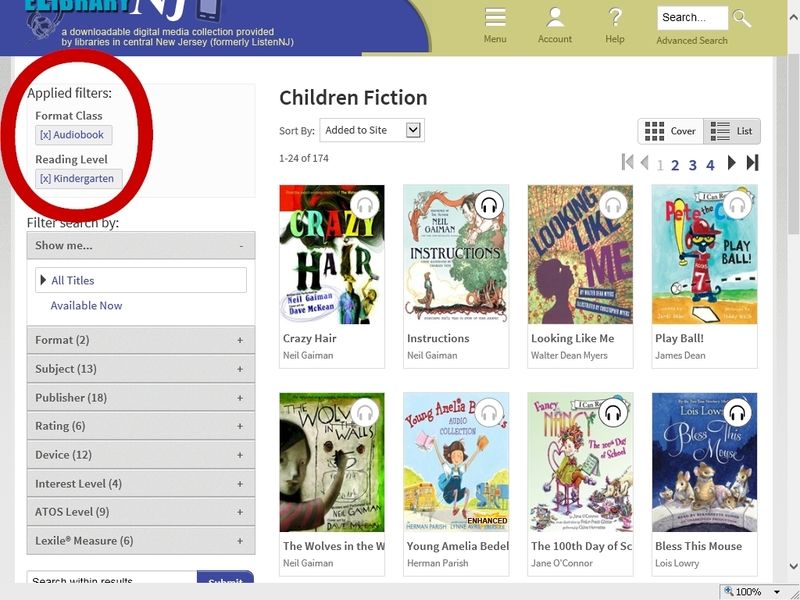 Sign in before you search or browse to see all titles available to you: On the login page, choose South Plainfield Public Library from the dropdown menu: Then enter your library card barcode number in the box: This will bring you to your Bookshelf, which will list any items you already have checked out. 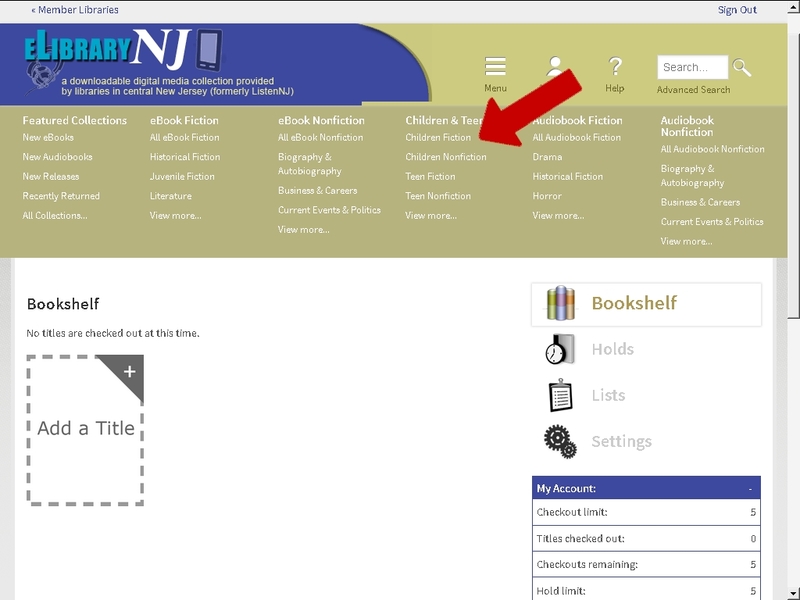 From the Bookshelf page, click on MENU: Under Children & Teens on the menu, click on CHILDREN FICTION: On the results page, use the left-hand menu to narrow your search to AUDIOBOOK (or ebook, if you prefer): Next, choose an INTEREST LEVEL and/or READING LEVEL to see titles for a specific age group: The resulting list will show you all relevant items – including those that are not currently available. Items which not currently available will have the headphone icon grayed out; the icon will be dark on those which are currently available: Click on AVAILABLE NOW to limit your results to items you can check out immediately: That’s it! 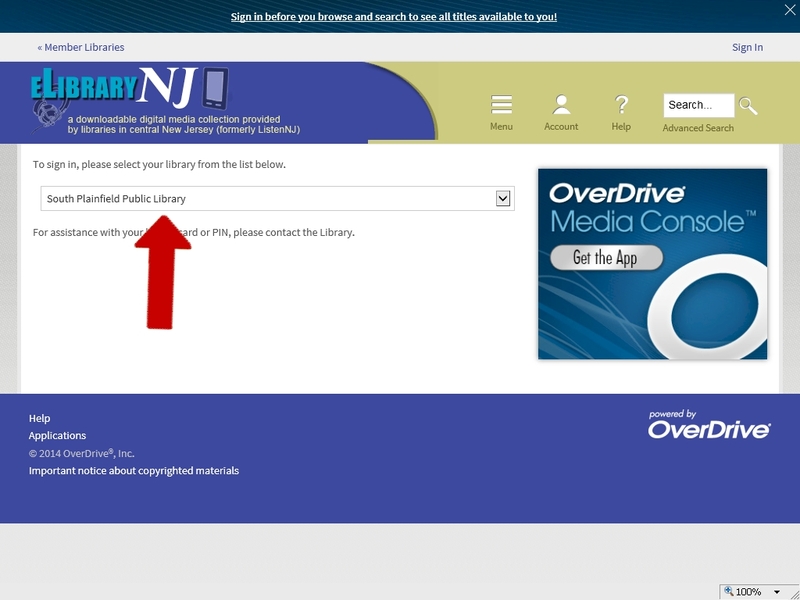 For general instructions on using eLibraryNJ, see http://www.southplainfield.lib.nj.us/audiobooks.htm (audiobooks) and http://www.southplainfield.lib.nj.us/ebooks.htm (ebooks). Enjoy! Do you ever want to check something in CONSUMER REPORTS, but don’t have time to come to the library? 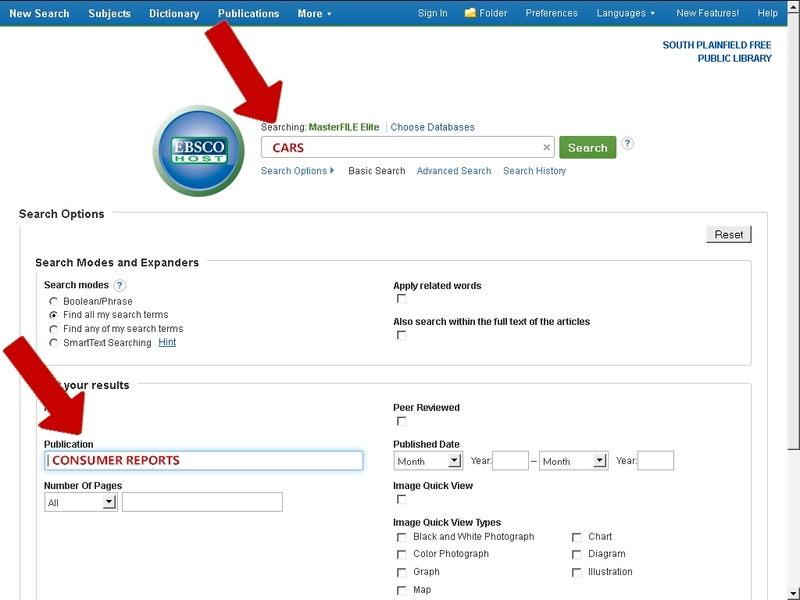 You can access Consumer Reports online using our EBSCOHost Masterfile Elite database! 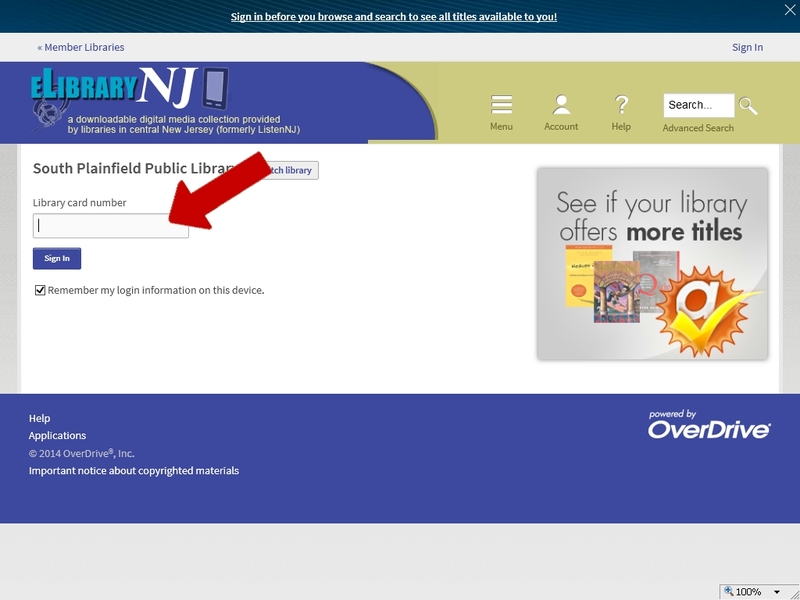 Login to Masterfile from our Online Databases page – you’ll need your South Plainfield library card number and PIN to login. 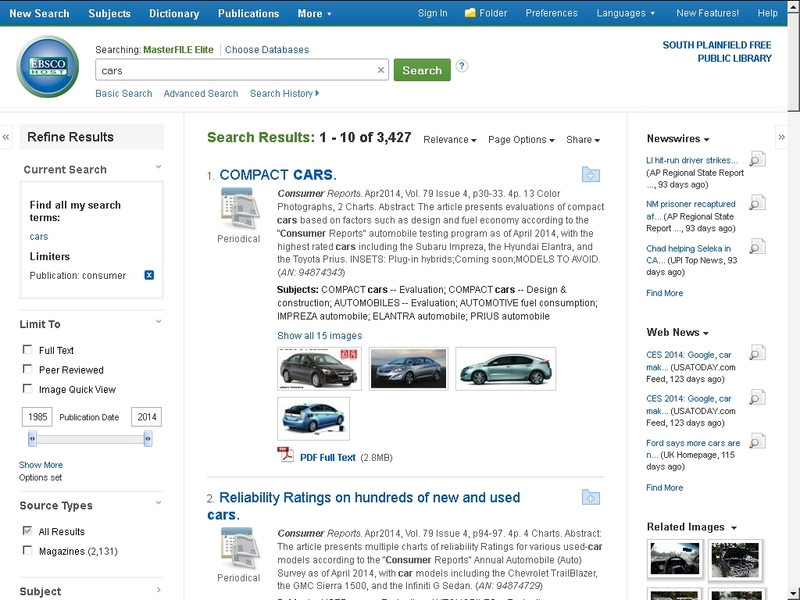 When Masterfile opens, enter your search term in the box (e.g., “cars” or “mattresses”), then enter “CONSUMER REPORTS” under “Publication” — as indicated by red arrows below — and press the Enter key (or click on the Search button): A list of relevant articles will be displayed: And that’s all there is to it!